Correctly laid out joints. Note: Inside corners, where cracks would typically occur, have correctly placed joints. Control joints are planned cracks which allow for movements caused by temperature changes and drying shrinkage. In other words, if the concrete does crack-you want to have an active role in deciding where it will crack and that it will crack in a straight line instead of randomly. Space joints properly. Space joints (in feet) no more than 2-3 times the slab thickness (in inches). A 4" slab should have joints 8-12 feet apart. Cut joints deep enough. Cut joints 25% of the depth of the slab. A 4" thick slab should have joints 1" deep. How to cut joints. Grooving tools cut joints in fresh concrete. Saw cutting cuts joints as soon as the concrete is hard enough that the edges abutting the cut don't chip from the saw blade. Cutting joints soon enough. In hot weather, concrete might crack if joints are not cut within 6-12 hours after finishing concrete. In this condition, if you don't want to use a grooving tool to cut joints, there are early-entry dry-cut lightweight saws that can be used almost immediately after finishing. These saws cut 1" to 3" deep, depending on the model. Place joints under walls or under carpet areas.Under walls they won't be seen. Under carpet areas the joints won't have a chance to telegraph through vinyl areas. Avoid re-entrant corners. 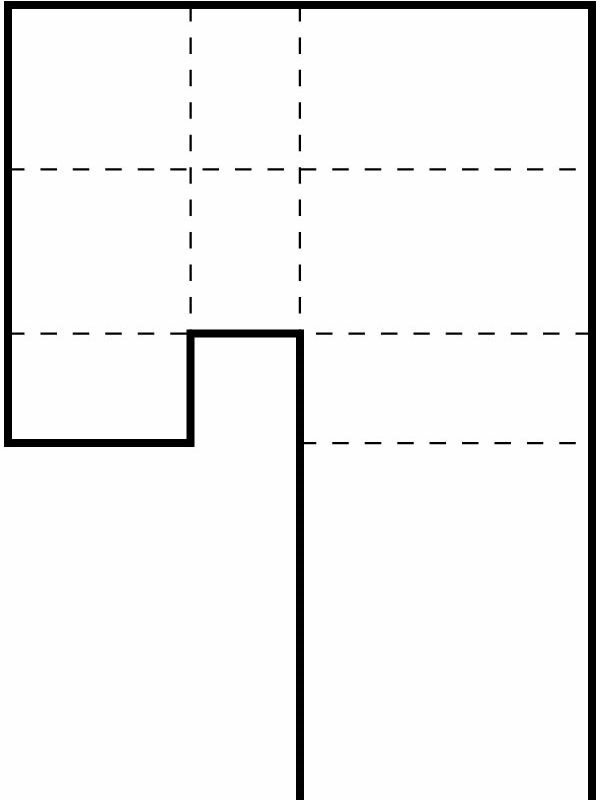 Planning the joint pattern can sometimes eliminate re-entrant corners. Most plans don't have joint spacing marked on them. So don't leave this important part of concrete construction to chance. Jointing is often not taken seriously enoughand the "sawcutter" comes to your job and puts the cuts where he feels they belong or where it is convenient for him. Be active in deciding where control joints will be placed!